The air is moist. The moisture mixes with your sweat � the heat is relentless. The drone of insects gives you headaches, and the fever from the infected wounds has left you delirious. Your raft is damaged, and there are spirits in the trees. You�ve only been here for three days. 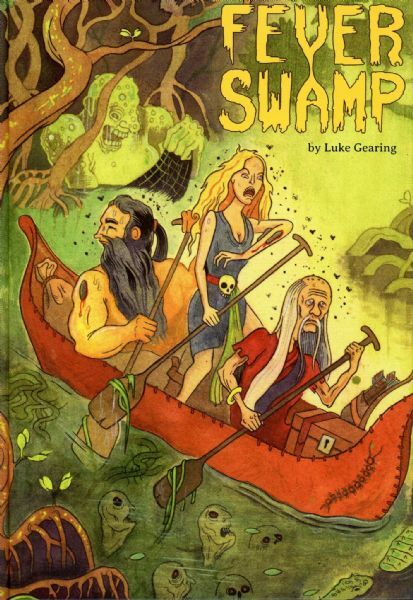 Fever Swamp was written by Young Master Luke Gearing, previously famed for his contributions to the world's favourite outsider role-playing 'zine, The Undercroft, and illustrated by Andrew Walter, who surreptitiously inserted sigil magic into his work on our previous publication, Crypts of Indormancy, to uncertain ends. We encourage you to purchase and investigate it for yourself, for the greater good.